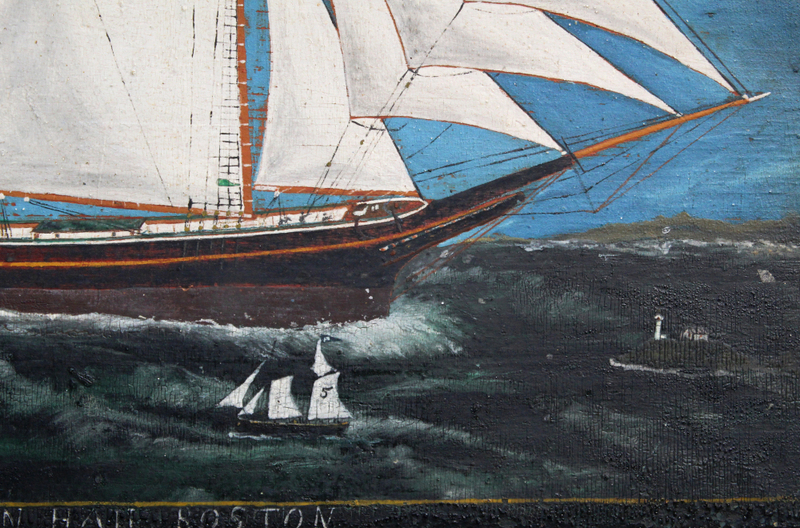 New England, 19th century. Oil on PINE panel. 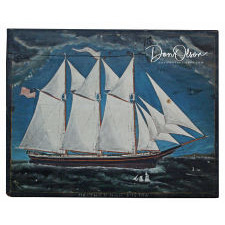 Filled with charm given the iconic-folky perspective of the Hail's vast size compared to the tiny light house and foreground ship, and the RICH, SATURATED BLUE contrasting against the whites of the sails and American flag, framed by the dramatic sky and water. The whole gives the impression of three-dimensions. The lighthouse is likely the "Boston Light", one of America's oldest, located on Little Brewster Island in the Boston Harbor. Note MARTHA N. HAIL in bottom caption and white banner. Several of the crew of eight visible on the deck. Signed lower left: J. Linmander....spelling?. Martha N. Hail was wife of prominent Providence, RI businessman George Hail (for which the free library in Warren, RI still bears his name). 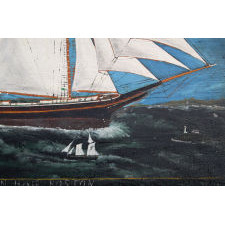 The three-masted 160 foot long schooner built in Providence, sailing out of its home port of Barnstable, MA (Cape Cod). The panel split shortly after painting, mended then by a nailed-on cleat. Beautiful dry crackled surface. Integral painted frame. Dimensions of about 20 ½ inches x 15 ½ x ¼ thick. Long time private collection. 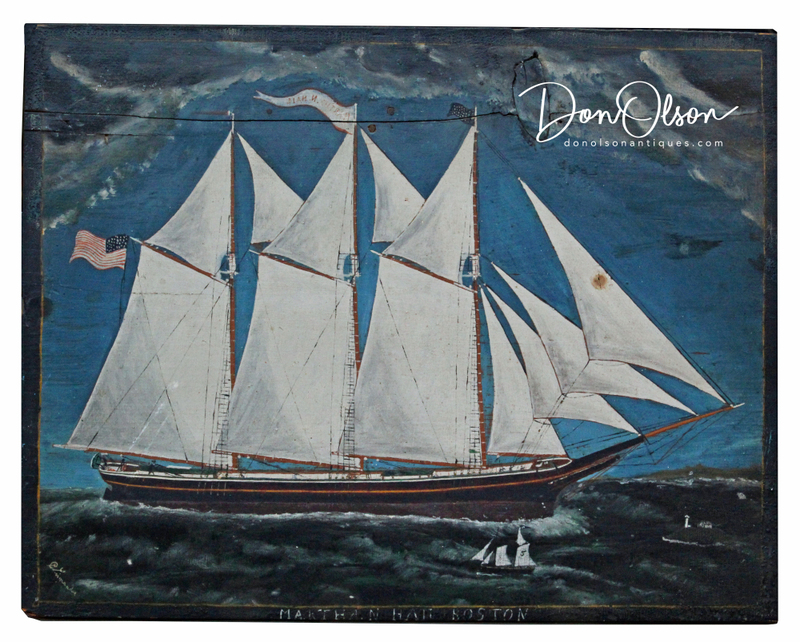 One of the most appealing, high-character folk art ship portraits I have seen.